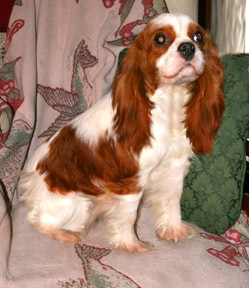 Windy Knolls Kennel is known for breeding beautiful, loving, Cavalier King Charles Spaniels and Golden Retriever Puppies, I am very proud of my breeding program. 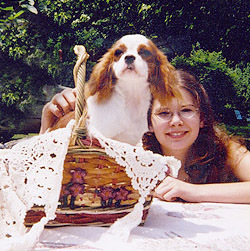 My commitment is to breed beautiful, sound, healthy puppies for people of all ages to love. Health is my biggest consideration; all of my adults are checked for congenital defects. All are seen on a routine basis by my veterinarian. The most important thing is that they are nurtured with love and played with everyday. All my little angels are whelped in my home, under my watchful eye. 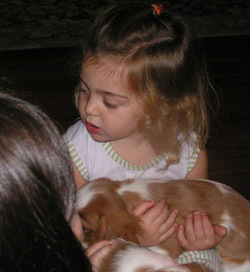 They are held and pre-spoiled from day one. Windy Knolls Kennel has occasional litters of Golden Retriever and Cavalier King Charles puppies throughout the year. Please contact us for our availability and information on future litters! Windy Knolls Kennel is located in the heart of beautiful Chester County, Pennsylvania, 30 minutes from the PA turnpike. One of my Drop Dead Gorgeous AKC Golden Retrievers. A Beautiful, Faithful Best Friend! 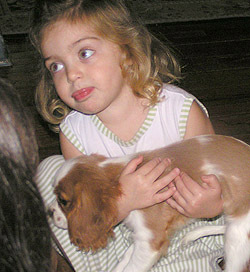 One of my Happy Customers with Their New Cavalier King Charles Puppy!